Known as payday loans online, deferred deposit loans or check advance loans – such are all short-term loans ranging anywhere between $100 and $1000 that appeal to individuals facing a difficult financial situation, offering them a quick fix until their next payday. “Defaulting” on a loan, otherwise known as missing a payment, can bring about many different consequences including automatic withdrawals from your chequing account, bounced checks or payments, NSF (Non-Sufficient Fund) charges. This payday loan will affect your credit rating, can lead to repetitive calls from collection agencies and even worse – a lawsuit. 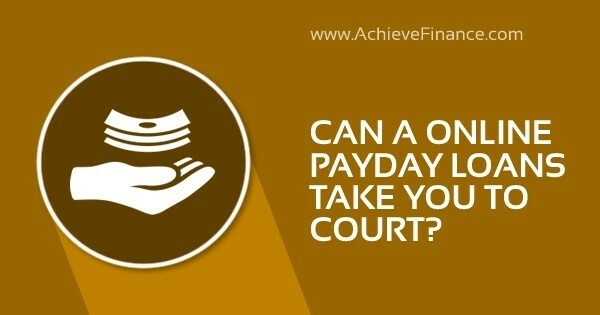 So, Can A Payday Loan Take You To Court? Facing an overdue amount – no matter how small that amount may seem? Then chances have it that you’ll be taken to court for a lawsuit. It is important to keep in mind that no amount is ever “too small” to be neglected. More so, once the court judgement has been decided, further and even bigger problems can come to be, including property seizure. In most places in the states, a judgement is viable for ten years and therefore, any property you may put your hands on over the next ten years can be used to repay your debt and any additional fees that have accumulated over time. If you know that you aren’t going to be capable of making your payments on your payday loan online, then your best option is to start looking for help before you ever even get sued. 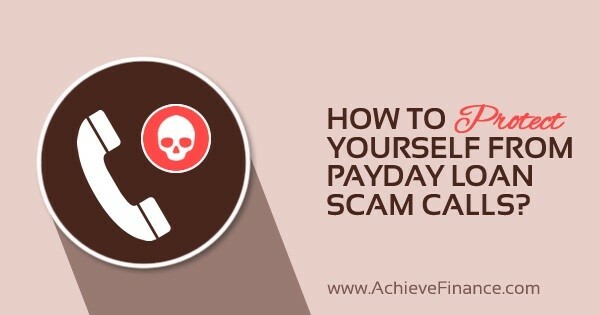 No matter what amount you are dealing with when it comes to your payday loan online, you should never tell yourself that such isn’t important enough. If a court order is what ultimately encourages you to take action, then we’re here to help you get through that, too! While a lawsuit for an unpaid payday loan is not just possible but actually probable, threatening or harassing someone with arrest or jail time for not paying back said loan is in fact illegal under the Fair Debt Collection Practices Act. In many scenarios, the lender will pretend to be a law enforcement officer or government agent in order to request their cash, alluding to possible jail time. In the case that you are threatened, you should contact the office of your state attorney general, as suggested by the Consumer Financial Protection Bureau. Remain cautious though, for certain payday lenders have actually succeeded in using bad-check laws to successfully file for criminal suits. For this reason again, it is best to never ignore a court judgement because such orders are legitimate when it comes to failing to repay a loan. Just a small word of advice before we continue: Never, ever ignore a court judgement. Not showing up in court in order to discuss your settlement plan will only make matters worse – much worse, seeing as the creditor can now sue with the legal system on their side! On a lighter note, failing to pay back a payday loan online is not considered a criminal offense and therefore, you can’t be sent to jail. However, the fact remains that a payday lender can still take you to court and cause you quite a bit of hassle. Protecting your credit score is a big deal – especially if you’ve worked hard in managing your finances and building your rating. 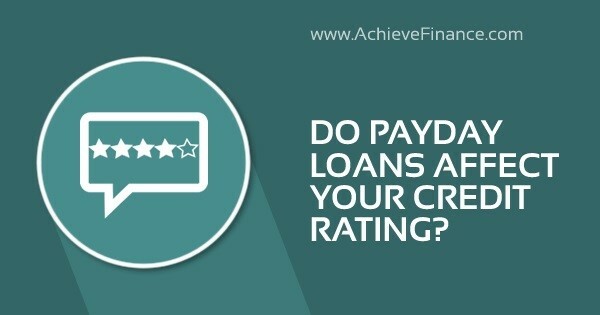 One of the biggest questions when it comes to payday loans online is whether or not such can affect a person’s credit rating. Now, why such a question? Well, a negative credit score can leave you facing several other problems – including struggling to obtain future credit. Furthermore, obtaining a personal loan online, financing an engagement ring, getting a car loan and even requesting a bank overdraft with bad credit can all become difficult if dealing with a poor credit rating. Do All Lenders Verify Credit Score? If you are dealing with a regulated lender, chances are they’re going to verify your credit score. In general, this is either completed through a “soft credit check” which doesn’t affect credit score or a “hard credit check” which, on the other hand, leave a mark on your rating. In other words, a soft check gives a lender a good idea about the risks in lending money to you while a hard check provides a definite answer. Do Payday Loans Online affect Credit Score? Although we often talk about Égood” or “bad” credit scores, a credit rating is in fact much more complex. Overall, your credit score is based on your personal financial history and experiences. In other words, it is actually possible to have a negative credit rating simply because you haven’t had the opportunity to use credit just yet. This is often a situation faced by young applicants who have not yet had the time to prove their creditworthiness through debt and expenses. You can also improve your credit score by a reasonable amount if you continuously make minimum payments alone. This occurs because you become an attractive prospect to lenders: You pay interest on borrowed money while continuing to meet your financial responsibilities. Missed payments and defaults, otherwise known as missing a payment on a payday loan, causes the biggest negative impact on your credit score. First of all, as with all debts and financial commitments, missing a payment negatively demonstrates your ability to responsibly and effectively manage your financial commitments. More so, missing payments can also indicate financial problems, causing harm to future scheduled payments as well. Not paying your payday loan online back, whether by choice or because you can’t afford it, the negative marks on your credit report will quickly add up. Such marks, or defaults, remain on your credit file for at least six years, starting from their issue date. In other words, not repaying a payday loan online can affect how lenders evaluate your creditworthiness for over half a decade. Keep in mind though, that is situation doesn’t uniquely apply to payday loans online. Generally speaking, if a lender performs a soft credit check in order to evaluate your application, then no, such a verification will not directly affect your credit score like the hard check would. However, remember that a soft credit check is still marked on your credit report. According to Experian, it is actually possible to have numerous soft credit checks on your report and such still wouldn’t have an impact on your credit file. This is because soft credit checks are not visible to other companies and therefore, don’t send out any indication of how many applications you may have already made. On the other hand, a hard check remains on one’s file for up to 12 months and is completely visible to other credit providers or companies in the future who may equally perform their own verification. In most cases, one application for a payday loan online, at the maximum two, is generally understandable. However, if you’re applying with several payday loan lenders then the marks on your credit score will quickly add up. Upon your next application, the potential lender will take note of the application trail and consider you of higher risk due to your numerous loan applications. Aside from indicating to potential payday lenders that you are at risk and in desperate need of a financial loan, multiple applications can also indicate that other lenders have rejected your request. In other words, as a lender, it would be much more difficult to offer a financial solution knowing that the borrower is at high risk of not having the capacities to pay back the loan. First of all, only apply for a payday loan online if this is absolutely necessary and all other options have been exhausted. Secondly, you should be weary of how often you go about applying for such loans. Generally speaking, most lenders suggest waiting a minimum period of three months prior to requesting another payday loan online. Not taking risks is extremely valuable – if you want to increase your chances of acceptance, than make sure you’re following the basics from the get go. In all cases, don’t wait for rejection before taking action! Your credit score defines how exactly you’re managing your finances – both over time and in the present moment. A payday loan online is an easy way to obtain quick money for short term financial problems. Keep in mind though that any type of credit can be used for or against you – improving or destroying your credit score. Many factors can contribute to a negative credit rating, including missed payments on a credit card or even on a phone bill. If you’re looking to increase your credit score, then regular and successful payments on any type of short-term loan can be beneficial – especially when it comes to less costly financial solutions in the future. How exactly a potential lenders views all this information is up to them and cannot be predicted. Prior to proceeding to any form of payday loan online request, make sure you obtain a copy of your credit report in order to make sure you know what things look like before doing so! A payday loan online following bankruptcy – is this even possible? In short, yes. However, it is important to keep in mind that doing so will take both time and effort seeing as a bankruptcy negatively affects your credit rating for years to come. However, more challenging than even obtaining a payday loan online is finding a potential lender that doesn’t charge exaggerated interest rates with difficult terms. 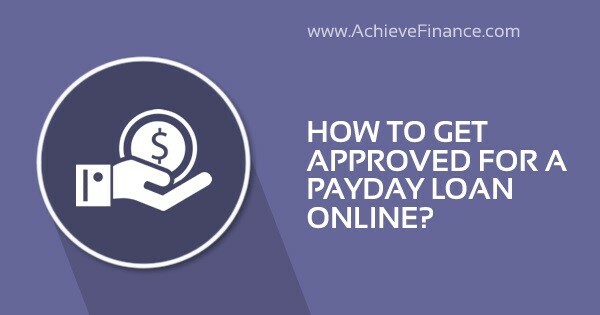 If you’re looking to help increase your credit score through a payday loan online and using such to make your payments on time and in full after filing for bankruptcy, then planning, preparing and organizing for a a post-bankruptcy loan accordingly is of extreme importance in order to increase your chances of acceptance. 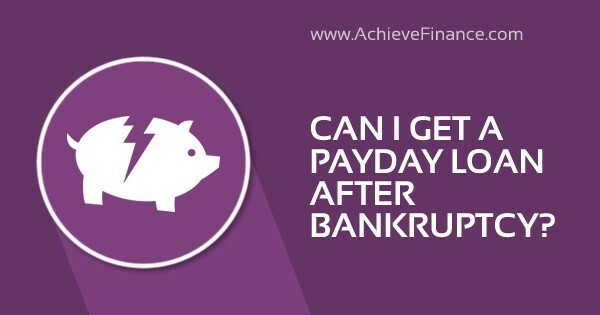 Getting A Payday Loan After Bankruptcy! A Federal Reserve study concluded that, “Ninety percent of individuals have access to some sort of credit within the 18 months after filing for bankruptcy, and 75% are given unsecured credit” which demonstrates that genuinely obtaining a loan following bankruptcy is in fact less challenging than expected. More so, approximately 20% of the studied group successfully accessed a loan after bankruptcy. This is most likely due to the reasoning that once a borrower’s debts have been erased, their debt-to-income ratio will have improved, which is one of the main factors that a potential lender looks at when assessing risk. Consumer bankruptcy comes in two forms: Chapter 7 and Chapter 13. Both have different impacts and effects on your credit rating as well as on your chances of post-bankruptcy loan approval. First off, what is Chapter 7 bankruptcy? Here, you’re obliged to sell certain of your assets in order to pay back eligible outstanding debts. Generally speaking, a Chapter 7 bankruptcy provides more of a “clean slate” than does Chapter 13. However, according to myfico.com, Chapter 7 can remain on your credit score for up to ten years or even longer. Following discharge from Chapter 7 bankruptcy, it may be more difficult to obtain a loan than with Chapter 13. This happens for a couple reasons. Because you don’t have to deal with a repayment plan, your file may appear less favorable to a potential lender. Keep in mind that after bankruptcy, there’s no need to wait the complete ten years before improving your credit score. You can help decrease the impact of your Chapter 7 bankruptcy by incorporating good credit habits right away and holding on to them as your bankruptcy moves further into the past. The sooner your start building and improving your credit rating, the better your chances at obtaining a post-bankruptcy loan. We’ve looked at Chapter 7 bankruptcy, which erases all eligible debts, however, a Chapter 13 bankruptcy demands for a reorganization of both debts and income. Through the court system, a 3-5 year repayment plan will be implemented in which you will have to make monthly payments to a trustee who then distributes the latter to the creditors who have filed a claim against you. Contrasting Chapter 7 bankruptcy, Chapter 13 doesn’t oblige the person to sell any of their goods or personal property in order to pay the debt off. In most scenarios, a person will primarily choose Chapter 7 bankruptcy initially but will opt for Chapter 13 if they don’t meet the eligibility requirements for the former. Although initially, Chapter 13 bankruptcy looks a little more difficult to deal with – notably due to the monthly payments – it actually has a plus side. Chapter 13 bankruptcy doesn’t remain on your credit record as long as does Chapter 7 bankruptcy. More so, Chapter 13 bankruptcy doesn’t affect your credit for an entire 7 years. Establishing positive payment history and hence increasing your credit score becomes possible if you succeed in obtaining a loan during your bankruptcy repayment period. You can start looking at a loan immediately after your bankruptcy discharge – even though bankruptcy may remain on your credit report for the full ten years. Certain potential lenders are more open and willing to work with individuals who have this file type. Chapter 7 bankruptcy means that all your debts are paid back, you don’t have regular payments to keep up with, however the bankruptcy still remains in your history for an entire decade. Derogatory credit history including bankruptcy filing though influences your credit score every passing year. For Chapter 13 bankruptcy though, repaying some or all of your debts is mandatory, usually over a 5-year period, sometimes 3. This form of bankruptcy is generally considered less damaging to your credit report and is displayed in your credit history for 7 years. While still paying your Chapter 13 bankruptcy, you have full rights to apply for a payday loan. Are you interested in obtaining a payday loan online after bankruptcy, then you need to present yourself and your situation in the best possible light. Equifax, Experian, and TransUnion are the three credit bureaus of which you can obtain a free copy of your credit report once every year. Once in hand, make sure you’re verifying that all information is exact and up-to-date, equally make sure that your file is void of mistakes. For example, in the case of Chapter 7 bankruptcy, make sure that all your eligible debts were included and that such now display a zero balance. In the case of Chapter 13 bankruptcy, it is important to verify that all your payments are being applied in the right places. Don’t hesitate to file a dispute if any mistakes appear on your credit report. Such can be corrected or completely removed if necessary, improving your credit score as a whole. In many cases, providing proof of stable and sufficient income can greatly increase your chances of obtaining a loan, especially since credit score and history are only 2 of many factors that are taken into consideration when applying for a payday loan online. Keep in mind that reportable income is based on actual and current income and therefore, if you’ve recently been given a raise, this should be included in your calculation. If you have access to any other forms of income, such as a spouse’s income or a salary you’re earning from a side business, then make sure you’re including this too. You can head over to your appointment with all the needed proof in hand: pay stubs, bank statements, a W-2, and tax returns. Even if you application receives a refusal right away – don’t lose hope just yet. You can fight for your case. Explain what led you to declare bankruptcy in the first place and place an emphasis on your commitment to building and maintaining strong credit abilities. Although this doesn’t guarantee that the refusal will be overturned, it does however increase the chances of such. 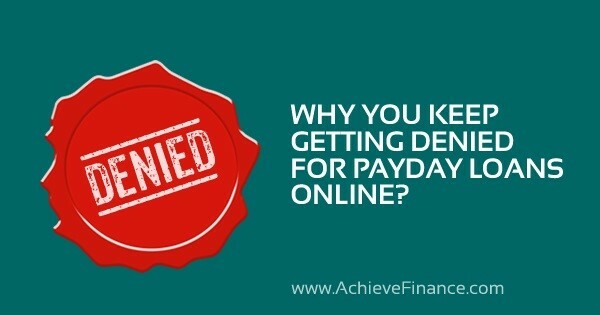 If you keep getting denied for payday loans online, don’t take it too personally. After all, it’s just a computer on the backend making the decisions, right? Much like a doctors warning in terms of high-cholesterol can be a patient’s wake-up call to leading a healthier lifestyle, loan rejection might just be the wake-up call needed to clean up your credit score if you keep saying to yourself: I need a payday loan but keep getting refused. Think of it this way: Being rejected for a loan may keep you far away from possible consequences in the future. When applying for a payday loan, one of the first thing a lender looks at is whether or not you can afford the loan. Part of the application process entails looking at your actual financial situation. For certain lenders, rejection may be deemed fit if you’re requesting a loan to pay off another financial engagement. You can also be rejected if you are currently repaying a payday loan. As earlier mentioned, lenders need to verify your current financial situation and therefore, being paid in cash can cause a few problems. If a lender can’t verify your income, you have high chances of being rejected. A lender will verify your bank statements and if you aren’t depositing your cash every pay cycle, then you aren’t leaving an online trace, making it impossible to check. If this is your case, then start looking for a lender who can verify your income through your payslips. Lenders use a lot of information stemming from your current financial situation in order to determine the risk in lending money to you. Having filed for bankruptcy within the last year will most likely have your request stamped as high risk – and you might see yourself rejected. Don’t worry though – if you’re dealing with recent bankruptcy, there are other options for you. Let’s face it – without stable income, you’re likely to be rejected, for many lenders will question your ability to repay the loan in the first place. Sure, certain lenders may take the time to consider an unemployed applicant, however such an individual must still demonstrate a stable source of income – be it governmental benefits, work or otherwise. A dishonored payment occurs when a creditor attempts to retrieve money from your account however, there isn’t enough money to cover the fee. If your bank account history displays a history of overdrafts, you’re more likely to be considered a risk and hence, your request rejected. Most lender’s have a specific list of mandatory criteria for payday loan acceptance on their website. It is highly recommended that you take the time not only to read such criteria, but to make sure that you meet such established standards. If you don’t meet the said list of criteria, you will most likely see yourself rejected by this lender. Additionally, many lenders equally have an internal scoring system where points are provided in order to determine your eligibility for a loan. If your score isn’t ultimately high enough, this is another reason your request may be denied. Although this has to be completed properly and carefully, it is equally possible to apply for a payday loan from more than one lender. Acceptance criteria can vary from one lender to the next and therefore, despite a previous refusal, you still have chances of being accepted. Avoid lining yourself up for repeated refusals and don’t keep applying if you have very poor credit score or a very high debt-to-income ratio. Always keep in mind that hard inquiries also directly affect your credit score in a negative way and the mark can last up to an entire year! If you’re facing a rejection for a payday loan – look at the bright side. Such a refusal can really give you the opportunity to carefully evaluate your goal and assess how you can obtain the funds in the quickest means possible. You can take advantage of this time to better your credit report and dispute any credit errors if needed. If you need the money right away, you can consider obtaining a payday loan from a different lender or start looking into different options altogether. 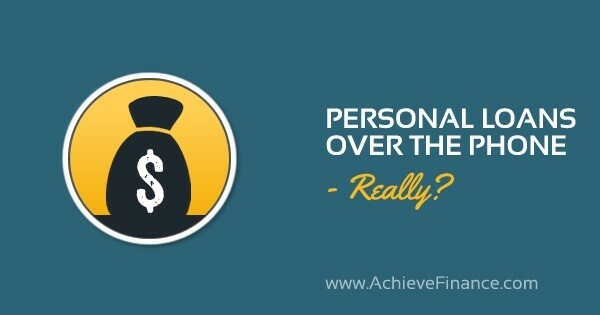 Personal Loans Over the Phone, Really? Obtaining a loan over the phone is as easy as simply dialing a number. However, when you’re equally dealing with a poor credit score, many documents may be required in order for your request to be accepted. That’s why you should apply for personal loans online for bad credit. Thinking of applying for a loan over the phone? Think twice before taking a decision. Keep in mind that a loan can’t be obtained 100% over the phone. To the contrary, it will become necessary to access a computer or a fax machine in order to send the necessary documents to the lender. Save time and energy by applying for your loan directly on the computer and receiving approval as soon as possible – forget about the chore of using the phone. There are many reasons that explain why applying for a loan over the phone is in fact more time consuming. Take a look at the following list – you’ll definitely reconsider applying for a loan over the phone. Calling any company and waiting lengthy hours in order to speak to an agent is a reality we’ve all faced at least once in the past. The same goes when applying for a loan over the phone – actually getting a line and speaking with an agent is most certainly not a breeze. In many cases, one needs to navigate automated phone systems, choosing different options, answering certain questions and often, being redirected to the wrong department. Once you’ve actually reached an agent, the preliminary process has just begun. Get ready for a long series of questions revolving around your basic information and who you are: Your name, your address, where you live, your employment, your salary, and the list goes on! Answering all such questions not only takes time, but is also rather intrusive – am I right? Thought you were done waiting after an agent? Wrong! Once you’ve finished up answering their numerous questions, the agent will most likely place you on hold in order to begin processing your application. Here again, the waiting time can be quite long. If you apply online, an agent doesn’t have to fill the online application out for you! So, you’ve spent a few minutes (or hours) listening to the pleasant elevator music while on hold and finally, the agent comes back! Now, you’ll have additional information to provide and more questions to answer prior to having your loan request reviewed. Only after all the latter steps are completed can you be approved for a loan over the phone. However, now that you’ve taken care of the application online with an agent, you still need to access a computer or at the least, a fax machine. The agent is going to need several different documents in order to have proof of what was said over the phone. Instead of initiating the loan process over the phone and wasting your precious time, why not choose to apply for your loan directly online? Obtain approval in minutes with no waiting, no complicated directories and without being placed on hold!